You know, it’s been said that “living well is the best revenge.” If that’s the case, it seems that Scottsdale residents have mastered the art of settling the score. The lifestyle that this gem of a city affords its residents is never lacking. From a plethora of upscale shopping destinations, world-class dining options, luxury resorts, soothing spas, a lively nightlife and numerous cultural events, Scottsdale knows how to throw a party. But perhaps the most endearing aspects about Scottsdale are more of an organic nature. Such as its abundant sunshine and crystal-clear blue skies. Or its stunning desert views in every direction. 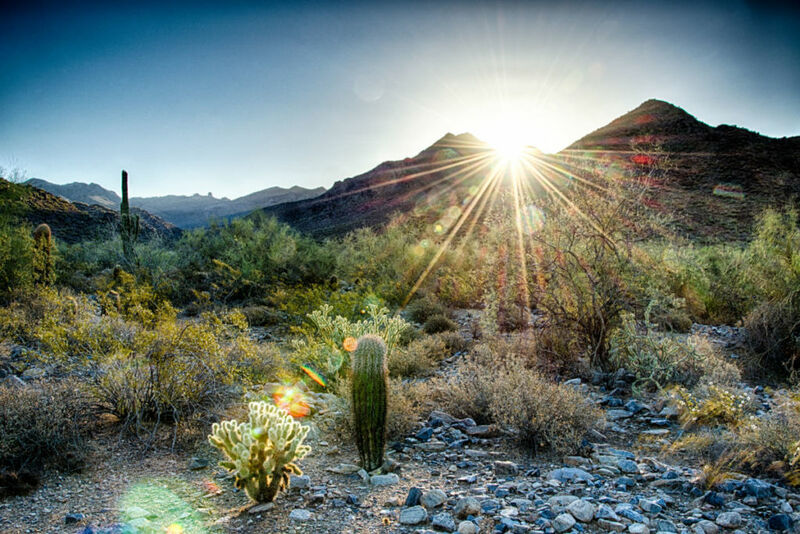 And truly, what many believe to be the crown jewel of Scottsdale – the resplendent and revered McDowell Sonoran Preserve. This living treasure encompasses over 30,000 acres, making it the largest urban preserve in the nation. The beautiful McDowell Mountains are at the heart of the preserve, where over 170 miles of trails wind through lush, cacti-dotted terrain and where an eclectic mix of desert-dwelling animals make their home. 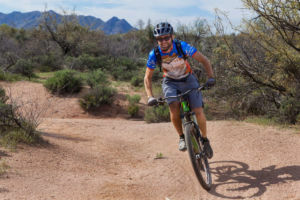 In fact, Scottsdale has just recently ranked third for recreation among the 100 largest U.S. cities, according to an analysis by WalletHub. The rankings were based on 35 key metrics and Scottsdale ranked high for its percentage of parkland; highly influenced by the vast and breathtaking Sonoran Preserve which spans a whopping one quarter of Scottsdale’s total land area. It’s hard to say what makes the Preserve so special. Perhaps the surreal backdrop it provides to vibrant red-orange sunsets bursting with saturated colors so rich and multi-layered one might swear it to be a painting. Many would argue it’s the miles of serene trails winding through deep, sandy washes and over picturesque vistas with 360-degree-views of the Valley below. Nature lovers and bird watchers would tell you that the bountiful wildlife scurrying about offers the most pleasurable activity within the Preserve. Spend a little time in the Preserve, and you’ll no doubt develop your own favorite aspects. 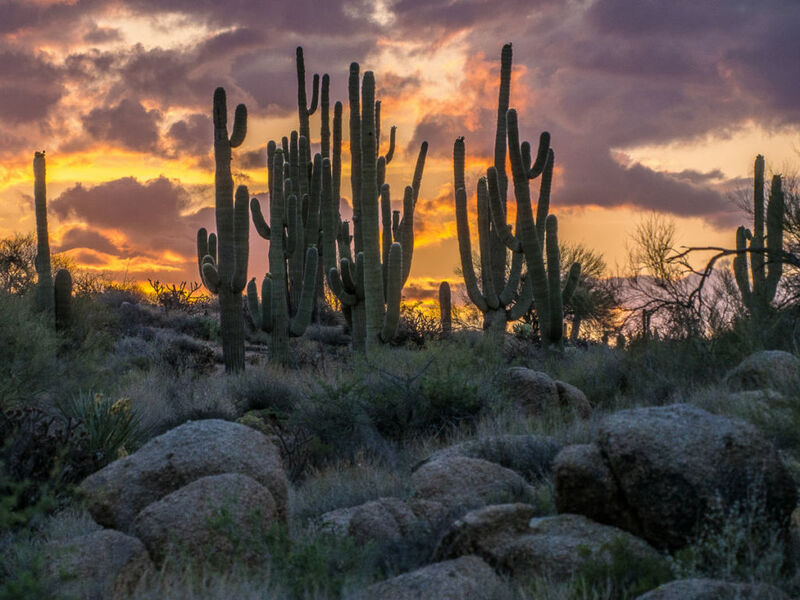 The Preserve is fiercely and lovingly protected by the McDowell Sonoran Conservancy, a local non-profit organization that has committed to the care and preservation of the area. Founded in 1991, the Conservancy today implements nearly 600 volunteers. The Preserve Steward program trains these volunteers to be caretakers of the Preserve and to share their passion for the Preserve with the public. In addition to maintaining the vast trail system, stewards welcome visitors at the trailheads, lead guided-hikes and school tours, and spearhead community outreach programs. The Preserve offers something for everyone. And we truly mean everyone. With 10 distinct trailheads offering miles upon miles of shared-use trails, visitors can enjoy the Preserve in just about any capacity. There are steep, demanding trails for fitness enthusiasts looking for a challenge. Visitors in wheelchairs or strollers will find accessible Nature Trails filled with exhibits and descriptions of local flora and fauna. Leashed dogs are welcome, as are visitors on horseback. There are even numerous events throughout the year such as naturalist programs on such topics as area geology, spring wildflowers or indigenous birds of prey. With so many miles of trails, visitors will find hiking available for almost any interest and fitness level. Many visitors and residents, armed with a trail map or their own familiarity, embark on their own adventure. 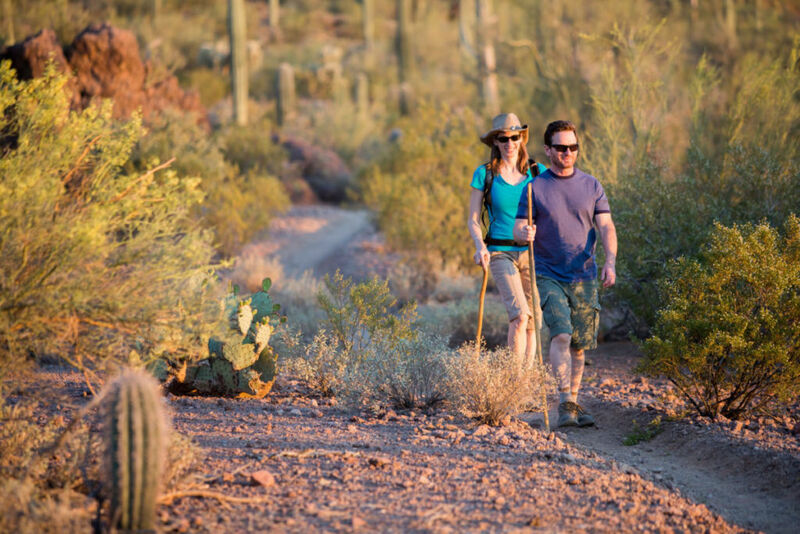 Self-guided hikes are an excellent way to set your own pace and discover the desert at your own leisure. And, at the busiest times of the day and the year, trail stewards will be on hand at trailheads and within the trail system itself to offer help and advice. 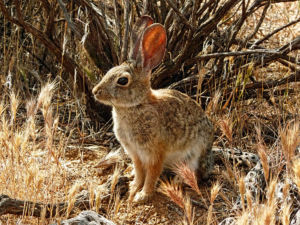 The Conservancy offers family-friendly Discovery Hikes where participants might learn to identify animal tracks, or hear stories about the ways that native peoples used the resources within the desert in their everyday life. If you’d like to have your very own “tour guide” to point out some of the Preserve’s trivia and treasures, a steward-led guided hike is a memorable way to learn more about the lovely Sonoran Desert. No-cost guided hikes are scheduled from October through April, and the Conservancy also offers private guided interpretive hikes for your group. Best of all, a private guided hike can be customized for you, from a moderate nature walk to a multi-hour mountain excursion. Love shredding it up on two wheels? Mountain biking is another way Preserve lovers get their hearts racing. There is a variety of terrain and difficulty levels all over the trail system – basically something for everyone. From rocky, loose gravel to compacted soil and sandy washes, riders will find varying terrain within different parts of the Preserve. Flowing, winding trails with only moderate climbs are available, as are technical sections with steep climbs, fast descents and sharp switchbacks. As The West’s Most Western Town, Scottsdale wouldn’t properly live up to its reputation without the presence of cherished and celebrated horses! So it’s only fitting that the Preserve is horse-friendly. Most trails are available for horseback riders and several of the trailheads have equestrian staging areas making it easy for horse owners to bring their surefooted mounts for a pleasant outing. Well before the acquisition of the Preserve by the City of Scottsdale, local climbers have been using the area for climbing pursuits and have established fixed anchors to some rock faces and historical crags. From rappelling and free climbing, to direct aid climbing and bouldering, there are many locations within the vast Preserve that have been designated as climbing areas. The Conservancy is host to numerous events throughout the year. There’s the Family Friday Sunset Series where programs might include a presentation of native wildlife such as owls, reptiles or raptors. Birding in the Preserve is a fun way for visitors to identify various local and migratory species. Hands-on Photography Workshops are popular, as are Wellness Hikes and Dog Appreciation Days. Guests can burn off that extra piece of pumpkin pie on Thanksgiving, or ring in the New Year with guided Holiday Hikes. Visit www.McDowellSonoran.org for everything you need to know about visiting the Preserve, volunteering, or supporting the efforts of the Conservancy.